Kuwait , 1 August 2018: Justin Rose has announced he will defend his title at the Turkish Airlines Open, the sixth Rolex Series event of the European Tour’s 2018 Race to Dubai, in Antalya in November. Englishman Rose, currently second in the Official World Golf Rankings, made three birdies in his last four holes to secure a thrilling victory at last year’s tournament at Regnum Carya Golf and Spa Resort, with the trophy being delivered in spectacular style by a Turkish Airlines drone. Rose was awarded Turkey’s Distinguished Service Award for his charity work by Minister of Foreign Affairs, Mr. Mevl�t Çavuşoğlu during the prize presentation. The memorable win came in a sparkling run of three victories in six tournaments in the closing weeks of 2017 for Rose. The Olympic gold medallist and former US Open champion has been in fine form once again this year, adding the Fort Worth Invitational title in May. Last year’s was a second triumph on Turkish soil for Rose, who beat a stellar field that included Tiger Woods and Rory McIlroy to win the Turkish Airlines World Golf Final in 2012. This year’s Turkish Airlines Open is being held between November 1 and November 4 and is once again part of the Rolex Series, the premium category of tournaments on the European Tour’s Race to Dubai, each with a minimum prize fund of $7million. 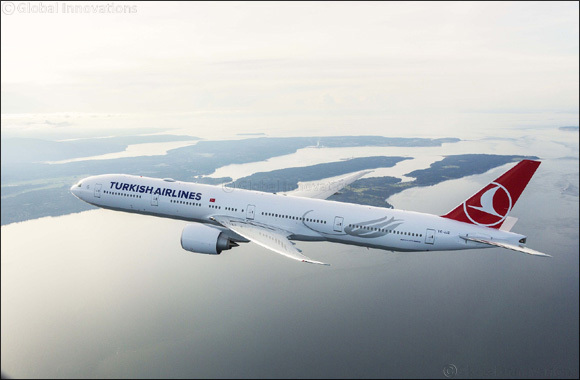 Turkish Airlines also supports a Challenge Tour event and an unrivalled amateur series, the Turkish Airlines World Golf Cup.